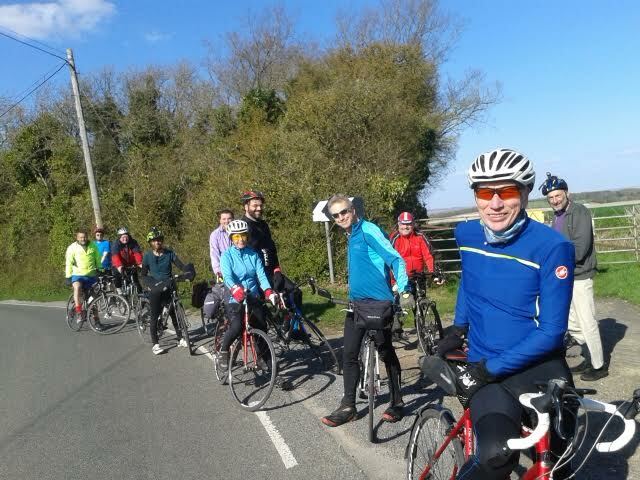 Ray writes: Eleven riders met at Brookside for this afternoon's ride out to Melbourn. It was the first Sunday in several weeks that we weren't faced with blustery winds and the threat of rain. Instead, the sun shone down and we had nothing more than a strong, cool breeze to contend with. We set off down the familiar route to the guided busway and on to Addenbrookes, picking up Mark and Lalli along the way. Then it was heads down all the way to Duxford, where we regrouped after crossing the A505. From Duxford we took Grange Road, along the back of the airfield, then climbed up towards Elmdon. We carried on to Heydon and Great Chishill before enjoying the long descent to Flint Cross. 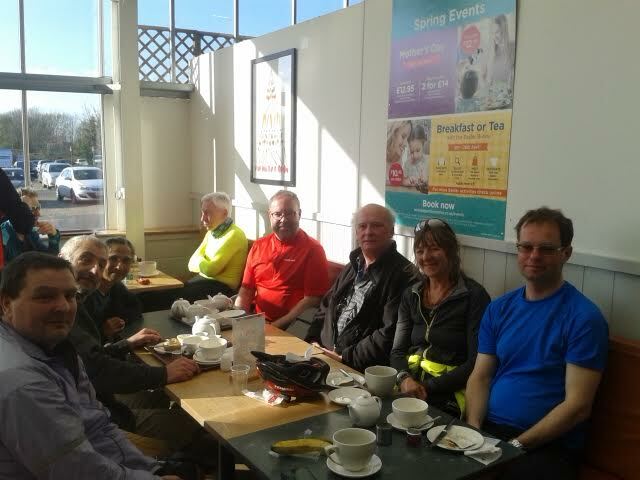 From here, it was a flat ride to Fowlmere and across the nature reserve to tea at the garden centre. After tea we carried on towards Shepreth, but we hadn't gone far when there was a loud bang as Mike's inner tube pushed its way through a worn tyre and burst. 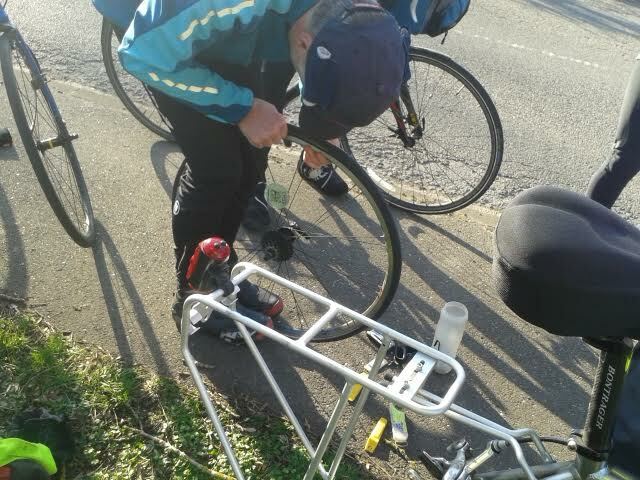 Simon made quick work of a repair, using an old toothpaste tube to protect the new inner tube from the split in the tyre. We were soon underway again. I caused some confusion by turning left in Shepreth instead of taking the more direct route to Barrington. We don't often ride down Malton Lane, and as we still had plenty of daylight I thought it would make a nice change to detour that way and approach Barrington from Orwell. After Barrington it was over Chapel Hill and into Cambridge along Barton Road. The rest of the ride was without incident and it was still light when I got home. A total of 42 miles for me today. Ray Miller (photographs by Beverley Carpenter).